apt 842 less clean Dust balls floating on floor after opening windows. Building entrance on w/e messy with bottles & garbage ( we arrived Sunday). 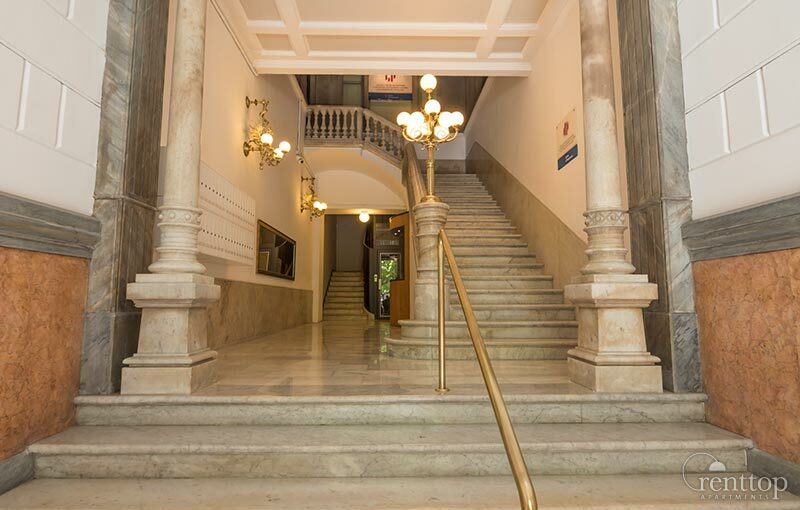 Hallways of the building needed refreshing ie. paint & cleaning to match the apt. The location was superb with all the facilities required at your doorstep. The apartment was sufficiently comfortable and spacious. The location was very central. For a family it is a good choise. The Staff was nice and they make an effort. Your on site staff were extremely helpful and friendly with everything. I commend you on finding such wonderful managers. Fantastic location and great appartment. Well furnished kitchen and good sleeping beds. Nice bathroom. The sattelite tv wasn't working. We would rent it again, if we go to Barcelona. 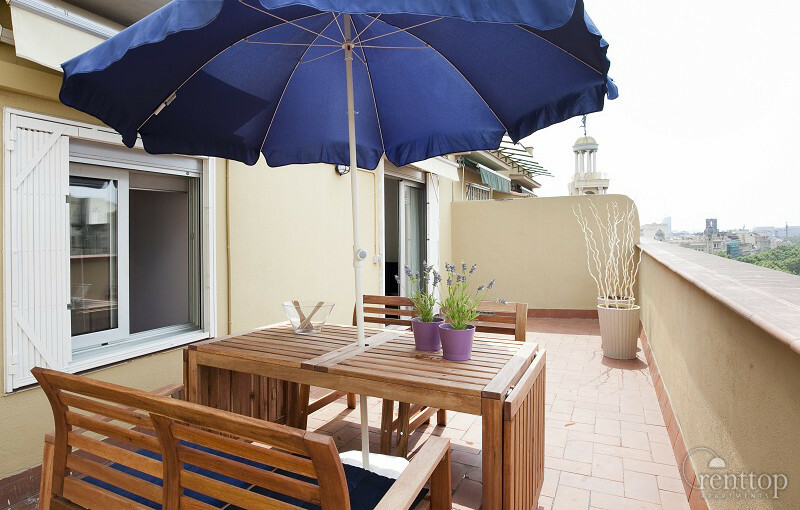 The apartment has a very good location in the heart of Barcelona. With a lots of restaurant and shops and near the metro. It was some nice days we have. Definetely perfect Location, Nice view and perfect hospitality. Everything was ok but wi-fi didn't work. It made some problems. But the rest was just perfect. Thank you! good location and cleanless . i'm come back !!! We loved the location. We would definitely consider recommending your services to friends and would use your services again ourselves. Thank you for making our stay in Barcelona a wonderful time. Muchas gracias! Todo fue muy bien, me gusta mucho la habitacion, donde queda, y voy a regresar de nuevo muy pronto. Nos vemos! 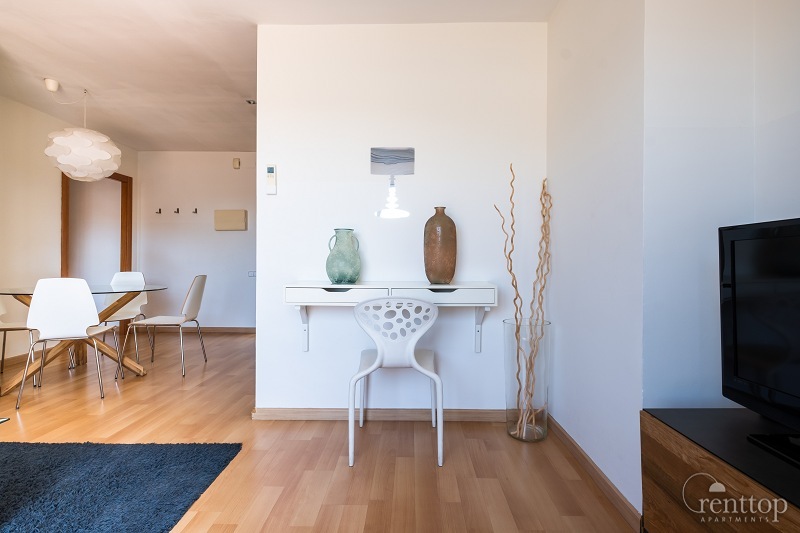 we had the best stay in Barcelona ever, much do to this wonderful apartment. It really felt like a home away from home. très contents de la location, très bien décorée et agréable. le monsieur qui nous a accueilli était très gentil et conciliant (Jorge? ), mais quelques problèmes de compréhension (ne parlait pas francais). Pour le check-in, je trouverais plus simple d'envoyer sms avec heure d'arrivée plutôt que de devoir téléphoner car difficile de se faire comprendre par téléphone. Super emplacement, appartement trÃ¨s propre et trÃ¨s fonctionnel. IdÃ©al avec des ados. Hi A perfect stay again. I just regret i never could enjoyed the discount you promised as i never stood more than 2 nights. Maybe this is something you should consider for my next stay ! Good Wifi, very quiet though near the main square, good dining options in the area, excellent mattress. 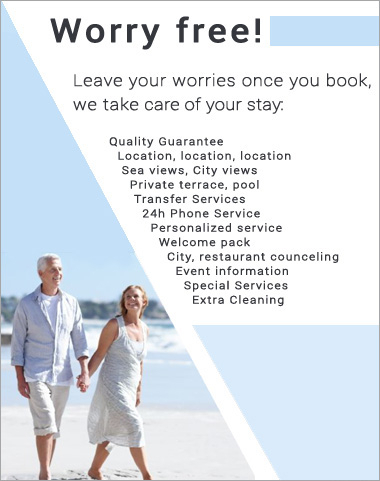 In case of problems during booking process, the service provided to help is more than excellent. A very high quality offer ! A beautiful apartment perfectly positioned. Checking-in went really smoothly with excellent, friendly service and advice from the young man who let us in (in spite of his having a sore throat. An excellent experience. Might be worth having a customer review book for restaurants and recommendations for visits/guided tours. It was fantastic! 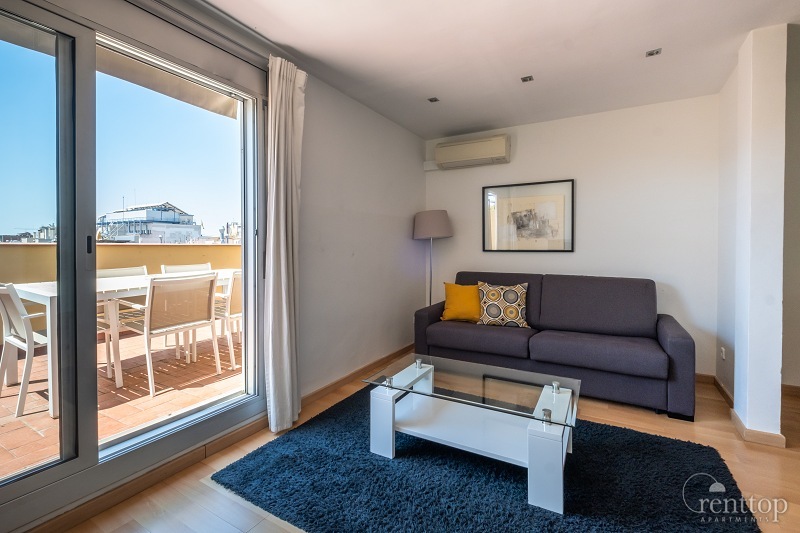 A beautiful, clean, spacious apartment with amazing views out over Barcelona's Las Ramblas and beyond! The man who checked us in was so helpful and accommodating which was so lovely as we were tired after a stressful journey. He really lifted us and made us feel welcome and offered advice on where to eat etc. I would definitely use this organisation again, really wonderful visit, thank you! 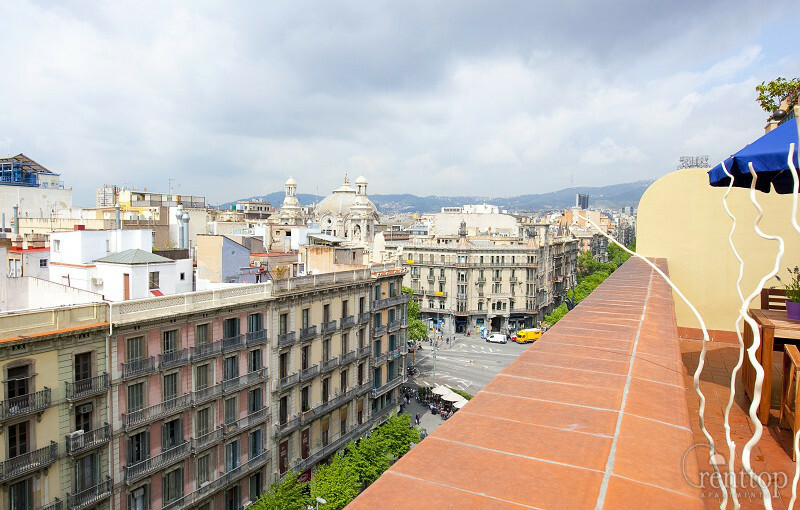 This was my 3rd visit to Barcelona, but 1st time we opted for an apartment rather than a hotel. So glad we did. Not only did we have much more space in the beautiful apartment, we also had an amazing private terrace which was fantastic to watch the world go by! amazing location. We shall definatly be booking again with rent top apartments. I would also like to mention George our check in man, he was ever so helpful and gave us lots of tips on local places to visit/eat. 10/10 for location for apartment we loved it. We thought the apartment was great and would certainly like to come back. We also really appreciated the refreshments left for us. The only improvement I would suggest is that you provide a tea towel to dry the cups/plates etc. We had a lovely time. The apartment was very comfortable and we enjoyed our stay in Barcelona. Thank you. Everything was excellent. We will come again! We had a good time in your apartment. Safe and nice apartment. The staff was really good. Thanks for everything. Great amenities and enjoyable flat. The amenities were top notch! 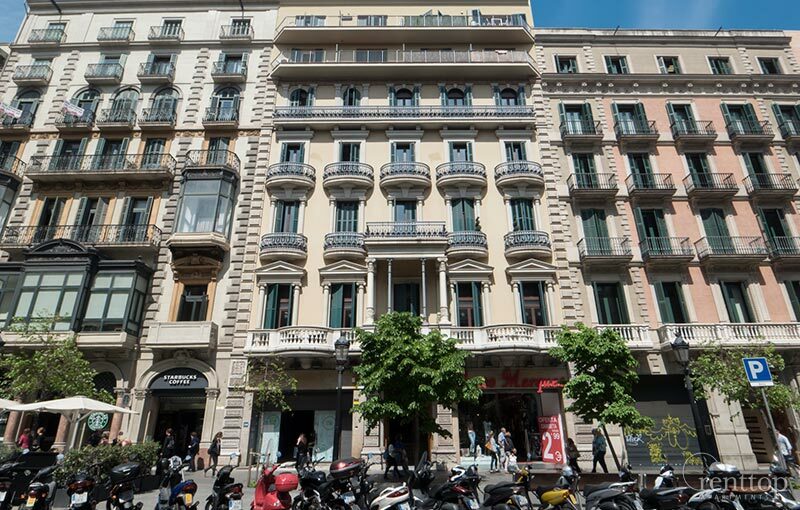 Enjoy all of the comforts of home in this amazing apartment located in the best location in Barcelona, Plaza Catalunya. This apartment is ideal for a business trip or if you are looking to explore the sights and sounds of the city centre. 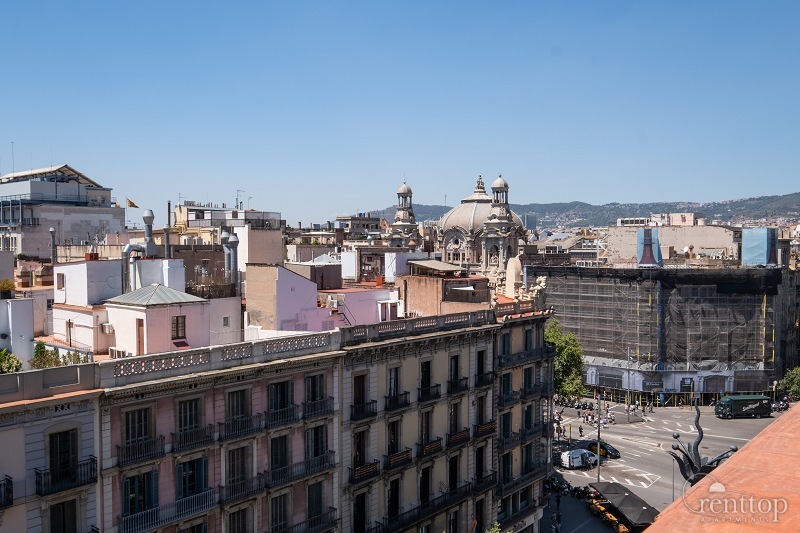 The apartment has a fantastic terrace from which you can observe the square. 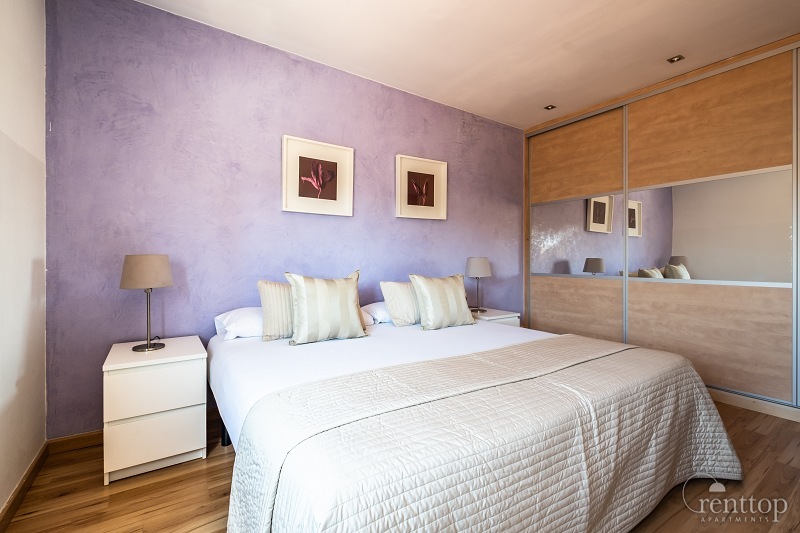 This is a one bedroom apartment with double sofa bed, accommodating up to 4 guests. 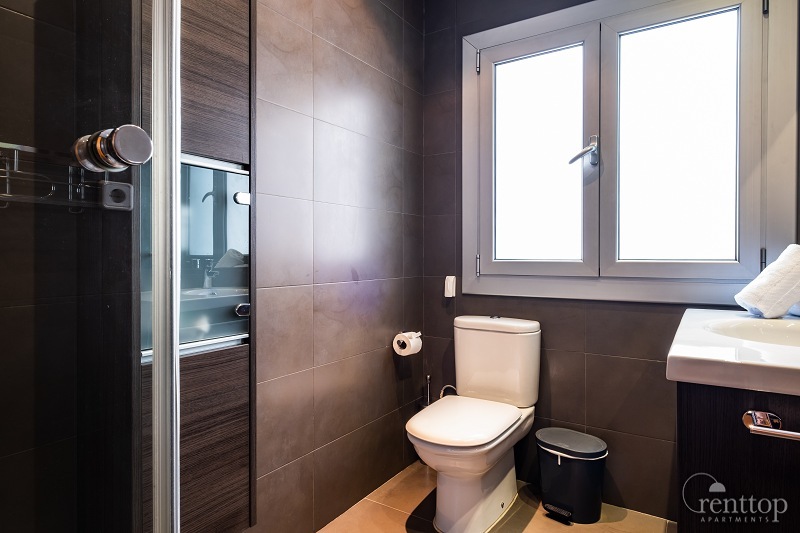 There is one complete bathroom; towels and fresh linens are provided for each guest. 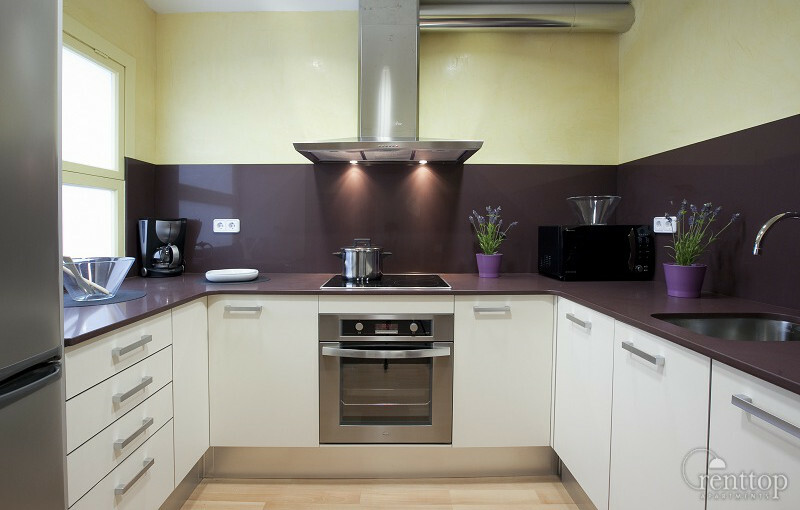 The kitchen is fully equipped with kitchenware and modern appliances. 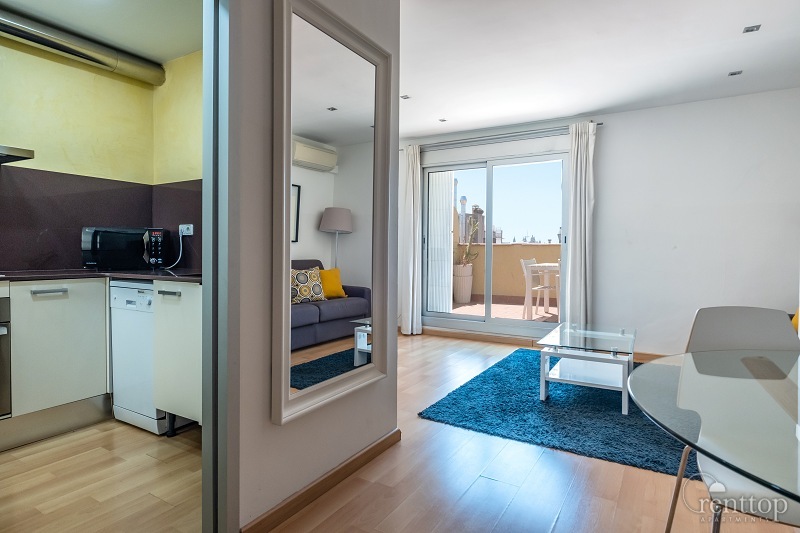 There is hot/cool air conditioning throughout the apartment, washing machine, dishwasher and Wifi internet connection. 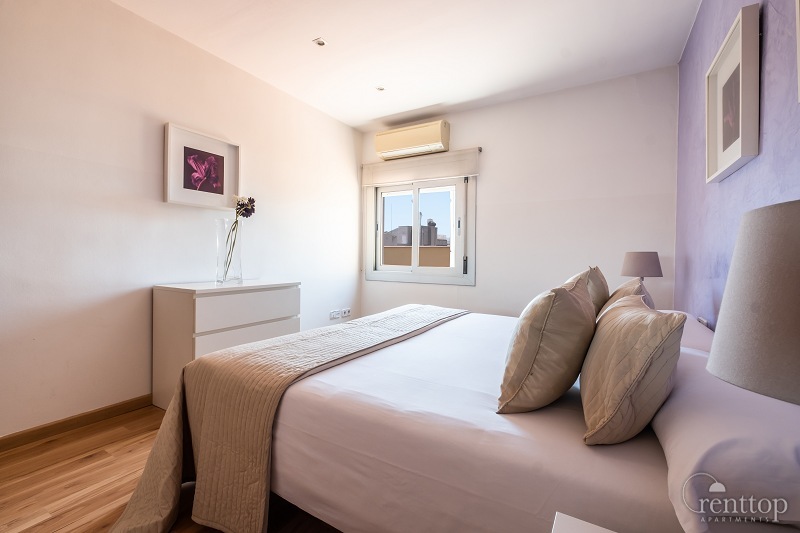 The location is unbeatable with Paseo de Gracia, Las Ramblas and the main shopping street, Portal del Angel, all just on your doorstep. 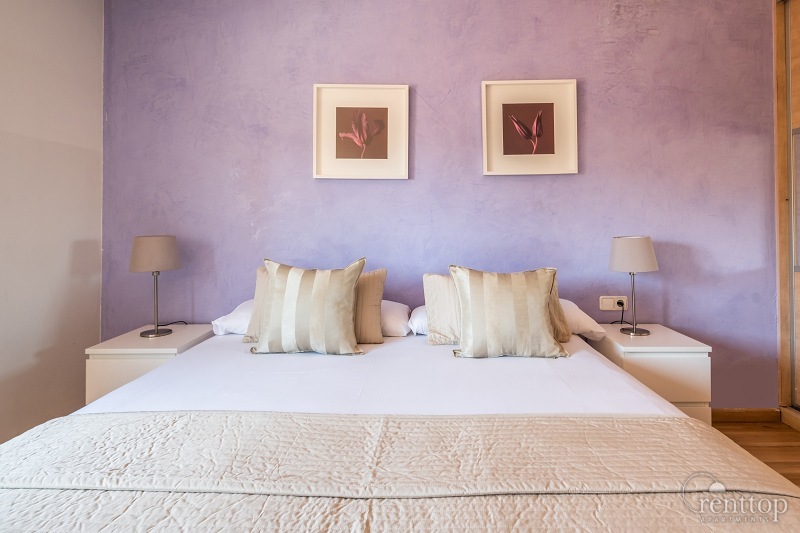 A great choice for an unforgettable stay in Barcelona! IMPORTANT NOTICE: Only families and groups of people 30 years old or over are accepted. Electric scooters available upon request.